Let us cook and dine together! 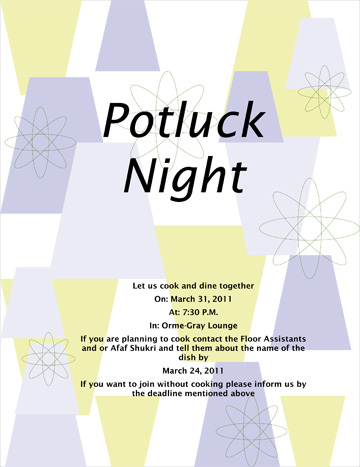 If you want to participate in the event by cooking, contact the floor assistants or Afaf Shukri, and specify the name of the dish, by March 24, 2011. If you just want to join us without cooking, inform us by the same deadline.